A couple of posters have stated that they did not receive a test target with their Shadow2. People receiving them from CZC (like myself) seem to be receiving a test target with actual bullet holes (not electronic). People getting them from some places other than CZC are reporting no test target received at all (although one poster from Canada who didn't buy from CZC received an electronic test target). I'm just trying to figure out why and whether there is some reason for not getting one. If you have received a Shadow2, please respond if you got a test target and if you did, was it electronic or physical and where you got it - CZC or elsewhere (group size or dispersion would be nice to know as well, if you don't mind sharing). Thanks for helping me try to figure out this mystery! Interesting--picked up my Shadow 2 last week. Purchased from CZC and it contained an actual target--with bullet holes. I think thats the key we've learned so far, if you got it from czcustom, they actually test fire and adjust sights in some cases. 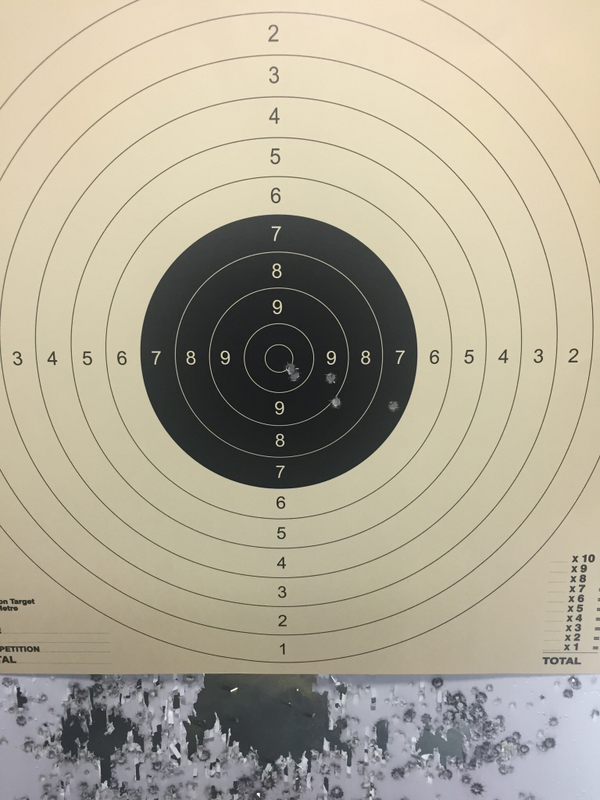 I bought from czc and got the physical test fire target. 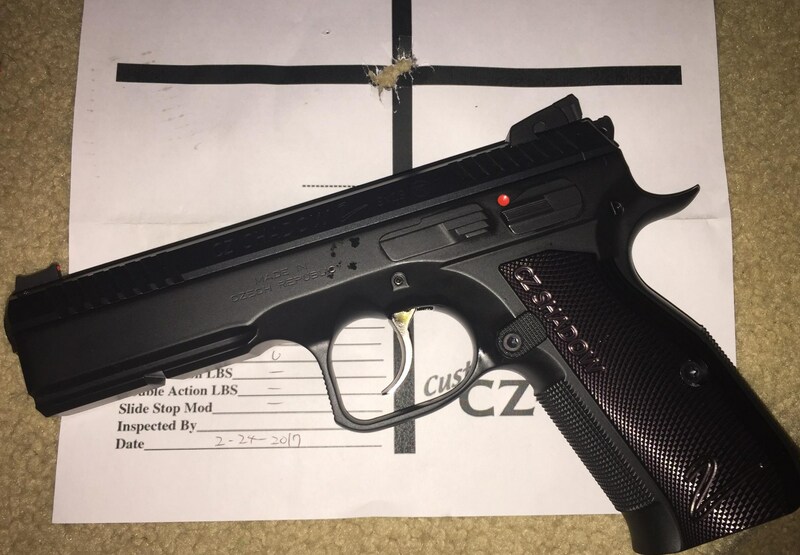 No test target here and mine came from CZ USA. I've been making my own so I don't need one ! I know CZC usually includes a test target with their custom guns, not sure if they did that with their inspection of the S2s. So far, it looks like East Europe fellas and gals are getting the standard electronic test target with their S2. Chilidip in Canada got two S2s and both had standard electronic targets with them. The gentleman from Australia did not receive any target with his. Peolple buying from suppliers here in the states other than CZC are not getting targets and anyone buying from CZC is getting a physical test target with bullet holes (non-electronic). I don't suppose it is any big deal or anything but, I can't figure out why this is such a random thing from CZ. Did they get in such a rush to get them to Australia and the U.S. that they bypassed test firing them or what? I bought mine from CZC and it came with both targets. Ha! You made me go dig through my box. Yes, I have both as well! I like the one from CZC better. Got mine from CZC. No target at all. Well.. I should also add that I asked them to remove/install the new fully adjustable rear sight on mine. That was late on a Thursday, and asked if they could ship ASAP. I received a tracking number that same night. Most likely, there was no time for them to test shoot it. Unfortunately, I have not been able to go out and shoot my S2 to report if I need to adjust the sight. I hope to go out this weekend and be as impressed as you were RHart! I'll let you know ... better yet how about some photos of your test targets ... or do you think some guys may get pissed theirs isn't as good as others. I'm not so good at posting pictures. 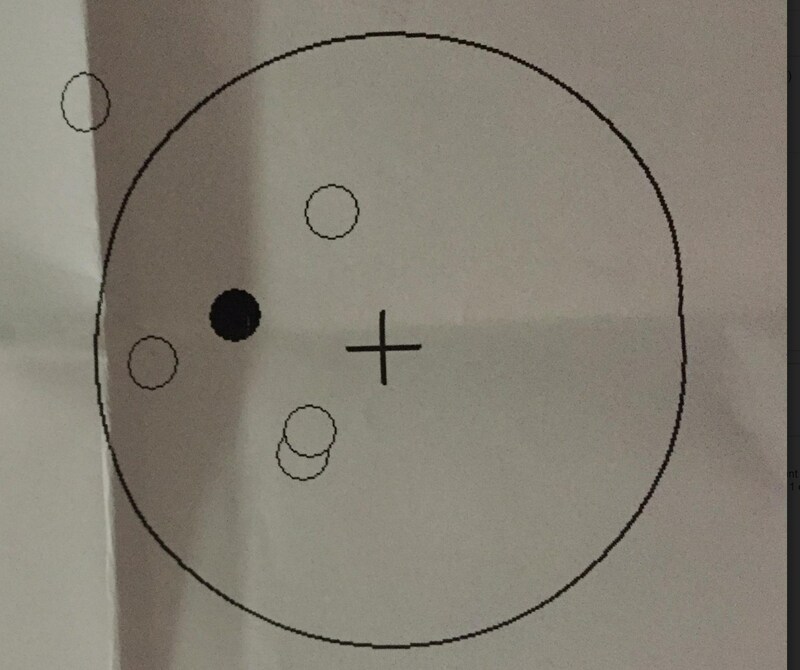 My CZ electronic target showed a 79.3 dispersion (not that good), but the one from CZC showed a little over one-inch. I have already had better groups than the CZ electronic version, but not as good as the CZC version - yet. I'd like to get a good shooter with young eyes to shoot mine to see how good it can be. Got two test targets. Elecronic and CZC.